It makes it easier to use so-called "section 60" checks, where for a limited period of time officers can search anyone in a certain area to prevent violent crime. There will also be a lower threshold. Police will only need to reasonably believe serious violence "may" occur, not that it "will". Shadow home secretary Diane Abbott said evidence-based stop and search was "a very important tool for police". But she added: "Random stop and search is not effective in bringing down levels of knife crime." She said: "Stop and search is an extremely important power for the police. It is undoubtedly a part of our increasing results suppressing levels of violence and knife crime." But Katrina Ffrench, chief executive of StopWatch, which campaigns against excessive use of stop and search, said: "This decision is a disappointing and regressive move, which is about politics not saving lives." Removing the need for reasonable suspicion "will not only exacerbate the racial disparity, but has the potential to further damage the relationship between the black community and the police," she said. Garvin Snell, an anti-knife crime activist in Hounslow, west London, said that when stop and search was "used in the correct manner", there was "nothing wrong with it". But he added: "I grew up in an era in the 1990s when you almost felt being young and black was enough to be stopped and searched and I don't want to go back to that environment." "A lot of these incidents are happening in poorer parts of London," he said. "Why don't we do something to raise the aspirations of these young people?" A data study for the College of Policing into a decade of London stop and searches found them to be "inconsistent" and "weak" as a deterrent. When misused, stop and search was "an enormous waste of police time" and "an unacceptable affront to justice", she said. Reflecting on the recent announcement, the prime minister said the powers were "an important tool in the fight against knife crime". 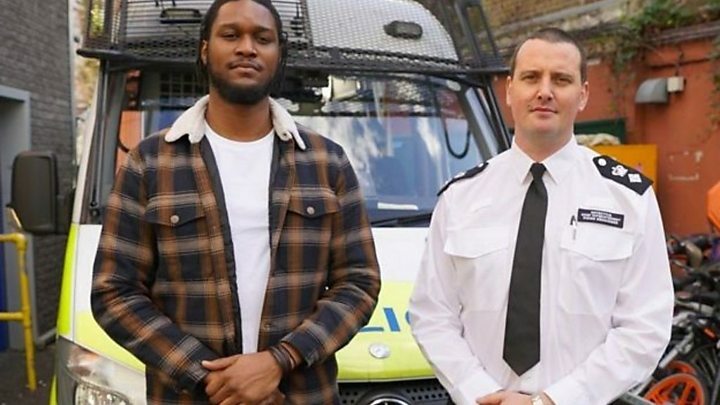 John Apter, chairman of the Police Federation, welcomed the government's renewed support for stop and search, saying it "had been lacking for far too long". He said it was a useful and accountable tool for officers to use in tackling knife crime and there was "no credible alternative".